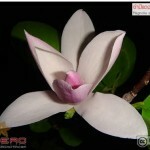 Champee Sinuan is a Magnolia hybrid originating from Bangkok, Thailand. 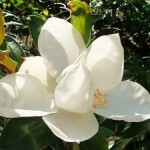 This special cultivar of Magnolia x alba, widely known as White Champak, can reach 10-20 meters unless it is occasionally pruned. 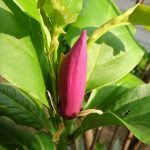 Magnolia “Sinuan” produces big, creamy, and really perfumed flowers, which can be spotted on branches all year round. 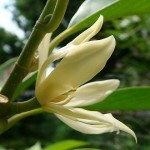 Its abundant blossoms have a sweet pervasive White Champak fragrance. Leaves are smooth and glossy. They have aromatic scent of lemon. 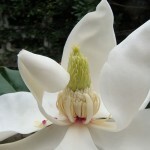 Magnolia x alba “Sinuan” performs best in full sun. The tree prefers moist rich soil, yet it cannot tolerate over watering. Common propagation methods are grafting and air-layering.